Free Things to do in St. Louis: The Gateway to the West (aka St. Louis) may not be the first place that comes to mind when you plan a vacation, but it should make your short list. 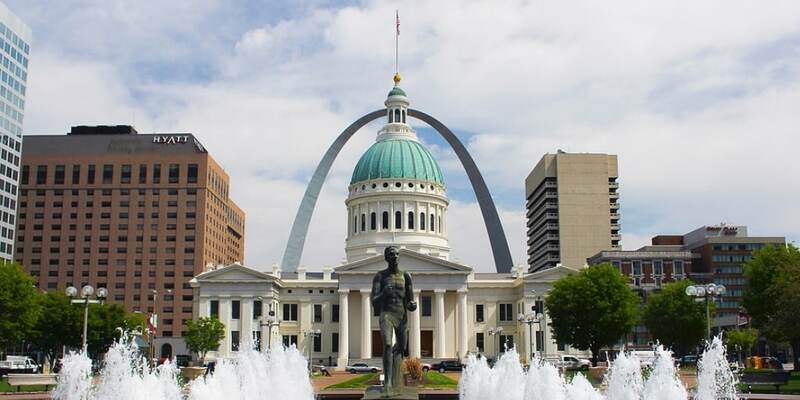 This midwestern city offers plenty to do and see beyond a visit to the famous Arch and watching a ballgame at Busch Stadium, home of the St. Louis Cardinals (though we recommend those, as well). Perhaps the best thing about St. Louis is the sheer number of things to do for free. Here are 17 of the best places to go that won’t cost you a dime (unless you make a donation or purchase a souvenir). We’ve listed them in alphabetical order, but feel free to visit them in any order you choose. This brewery is the oldest in the Anheuser Busch family of breweries, founded back in 1852. General brewery tours, which last approximately 45 minutes, are free and available throughout the day. Hours vary based on time of year, so call or check their website. Tickets are given out on a first-come, first-served basis–check with the reception desk as soon as you get there to see about availability. Tours include a look at entire brewery process, but your favorite part will likely be the visit with the famous Clydesdale horses. Located just about 8 miles east of St. Louis, near Collinsville, the Cahokia Mounds Historic Site encompasses the remains of a prehistoric Native American city–a pre-urban urban, if you will. This is a mind-boggling look at a civilization going back to nearly 700 A.D. The site spans nearly 2,200 acres, with 800 of them available to explore. That’s a lot of walking! Entry to Cahokia Mounds is free, but a donation is suggested to help maintain the site. Don’t miss Woodhenge, a reconstructed sun calendar, or the climb up Monks Mound. 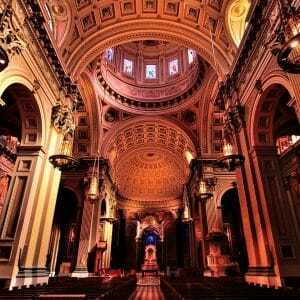 Whether you’re a fan of architecture, stained glass, mosaics, or just cathedrals in general, you won’t want to miss out on the Cathedral Basilica of St. Louis. The Cathedral dates back only a century, but has the venerable atmosphere of a much-older building. The mosaics found on the arches and domes (many designed by either Gorham or Tiffany) tell various stories, and you may just strain your neck looking at them all. Take in all of the chapels, windows, and statues-just be respectful of the mass schedule and plan your visit around those times. Citygarden, in the heart of downtown St. Louis, spreads over two square city blocks–nearly 3 acres. Developed as a public art piece, Citygarden contains sculptures, plants, and water features (which are especially popular with kids in warm weather). Not only is the “garden” free, but there is also a free app you can download to your phone for an interactive tour at your own pace. As with all St. Louis parks, Citygarden is open from sunrise until 10 p.m. The Contemporary Art Museum is a “non-collecting museum,” meaning it doesn’t have its own collections. Instead, it showcases the work of both new and established artists in exhibits that change seasonally. Expect to see objects such as paintings, photos and sculptures, as well as interactive and even performance pieces. The museum is open Wednesday through Sunday, 10 a.m. through 5 p.m. While there, consider the rest of the Grand Center Arts District, which features theaters, galleries, music halls, museums, cultural institutions, and some fine dining spots. New York City may have Central Park, but St. Louis gets cred for its Forest Park, a 1,300-acre park first opened in 1876 and site of the 1904 World’s Fair. Come here to walk, jog, bike, or paddleboat. Picnic on the grass or visit one (or all) of the five cultural institutions housed within the park, including the St. Louis Zoo. The park hosts occasional walks and tours that are free to the public – see the schedule here. Be sure to visit Pagoda Circle, the Nathan Frank Bandstand, and the Jewel Box. 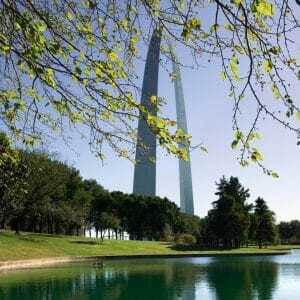 Although entry to the famous St. Louis Gateway Arch is not free for all (it is for those under 16), a host of attractions in the park are (including the view of the amazing arch–a celebration of the role of St. Louis in the United States’ westward expansion). This includes the Old Courthouse, where Dred Scott sued for his and his family’s freedom from slavery in 1857 (some say the case ultimately led to the Civil War). This also includes the recently opened Museum at the Gateway Arch, which profiles westward expansion from the viewpoint of many different cultures that were affected. Don’t miss the photos of the Arch being constructed! Grant’s Farm is a weird mix of attractions – consisting of both the house that Ulysses S. Grant built for his wife after their wedding and a souped-up farm owned and maintained by the Anheuser-Busch company (complete with beer garden, of course), but fun. There are hundreds of exotic animals, including kangaroos, lemurs, zebras, elephants, and camels, as well as “regular” farm animals. Of course, the star attraction is those famous Clydesdale horses! Visitors get a free 15-minute tram ride through the animal habitats, and admission is free as well. Parking is not, however, so unless you walk or bike here, expect to pay a parking fee. Visitors over the age of 21 get two free samples of AB beer. >> How Much Should You Save For Your Trip? The Holocaust Museum and Learning Center is a deeply moving look at the Shoah – the genocide of Jews in the Holocaust during World War II. This small museum focuses especially on the stories of local survivors and hosts various lectures and films throughout the year. The Holocaust Museum is located on the Jewish Community Center Campus on the northwest outskirts of St. Louis, in Creve Coeur. Join a guided tour at 10:30 on Sundays or walk through at your own pace. Closed on Saturdays. The 105-acre Laumeier Sculpture Park showcases perhaps the best way to view art – al fresco, integrated into nature. Walk the trails here to see 60 different sculptures in an outdoor habitat, including a Children’s Sculpture Garden. While admission is free, visitors should go to the Aronson Fine Arts Center to register before walking around. There are also occasional Free Family Days, offering free activities and projects. For a look at both elk and bison in a non-zoo-like habitat, take a quick, early-morning jaunt to Lone Elk Park. Park staff feed the animals early, so it’s best to get here at or before 8 a.m. in order to see them before they disperse throughout the park. While there, stretch your legs with a walk on the trails. Don’t forget the coffee, early bird. Save time on your trip to St. Louis for a visit to the impressively large Missouri History Museum. Learn more about the history of St. Louis and the 1904 World’s Fair held here in two continuing exhibits, as well as showcases of local history that change seasonally and/or annually. Let the kids loose in the interactive and hands-on History Clubhouse, where they can explore scaled-down replicas of famous St. Louis buildings, take the wheel of a steamboat, board a trolley, and so much more. It’s all free and open daily, except for Thanksgiving and Christmas Day. Located in Forest Park, the Muny hosts musicals throughout the summer. Tickets for the last nine rows of the theatre, totaling 1,450 seats, are offered for free on a first-come, first-served basis for each and every show. Gates open at 7:00 p.m. on the day of the show to get the tickets and there’s free pre-show entertainment in the plaza right behind the seats. Located in the Grand Center Arts District, the Pulitzer Arts Foundation (formerly just the Pulitzer, but not that Pulitzer) offers both free entry and parking. It’s open Thursday through Sunday from 10 a.m. to 5:00 p.m. and until 8:00 p.m. on Fridays. It also participates in the Grand Center Arts District’s “First Fridays” program, during which museums and galleries stay open until 9 p.m. on the first Friday of each month, with free admission from even those that typically charge. The Pulitzer is small and typically showcases one exhibit at a time. The St. Louis Science Center boasts more than 700 “interactive experiences,” as well as a five-story high OMNIMAX theater and a planetarium. Hands-on learning is everywhere at this public institution, where general admission is free for all. Some attractions require paid tickets, such as the flight simulators, IMAX movies, planetarium shows, and Discovery Room, but the bulk of them do not. This includes the Experience Energy gallery, GROW pavilion and gallery, Makerspace and workshops, and so much more. If you visit on the first Friday (evening) of the month, parking is free, as are a 7 p.m. planetarium show and 10 p.m. OMNIMAX classic sci-fi movie screening (grab tickets to the latter two on a first-come, first-served basis). The 90-acre St. Louis Zoo occupies the southwest quadrant of Forest Park. Admission here is always free, though some shows and tours cost extra, as does the Children’s Zoo. However, if you get up early and visit in the first hour that the zoo is open, you’ll get free entry to the Children’s Zoo, Conservation Carousel, and Stingrays at Caribbean Cove. Kids of all ages will love the variety and number of animals there are to see here, including the popular Polar bears, red panda, snow leopard, Tasmanian devil, and elephants. You don’t have to be a budding Kasparov to appreciate the collection in the World Chess Hall of Fame. The WCHOF is open every day except holidays and admission is free (although there is a small suggested donation of $3 per person or $5 per family). Think all things chess when it comes to exhibits here, from chess pieces to women chess champions to the history of chess in the U.S. 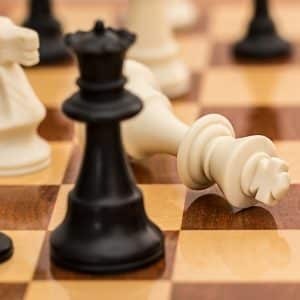 Even if chess isn’t your thing, make sure to visit the World’s Largest Chess Piece – a king piece standing 20 feet tall, carved out of African Sapele mahogany located outside. Talk about an Instagram-worthy photo op!